My name is Caroline and I'm a crispaholic. I love a packet of salt and vinegar - and at a push, prawn cocktail or worcester sauce - and there's a special place in my heart for pickled onion Monster Munch. In an effort to reduce my calorific intake but still enjoy my favourite snack, my current favourites are Walkers Baked crisps, which are baked not fried, and contain 70% less fat than the regular kind. The salt & vinegar flavour is particularly good. 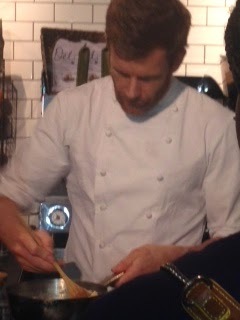 So I was thrilled to be invited by Walkers to the launch of a new snack range - Market Deli, featuring crisps, tortillas and pitta chips (or as they spell it, pita - apparently both are right), as it was accompanied by a cookery demonstration from Michelin starred chef Tom Aikens. 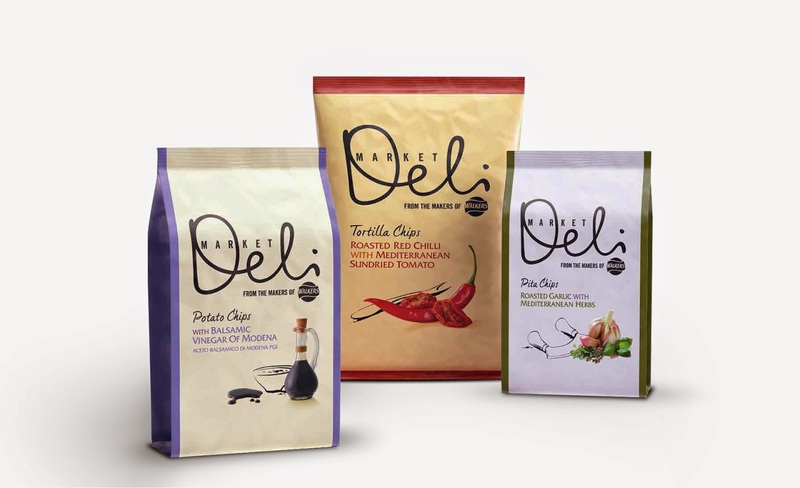 Walkers Market Deli is an upmarket snack range using high quality ingredients from named sources, like Cornish cheddar, Wiltshire ham and sundried tomatoes from the Manisa region in Italy. There are eight flavours which come in large 165g sharing bags - RRP £2.39 - and the crisps (sorry, potato chips) come in individual serving size bags as well (83p each). So they are a little more expensive than your average packet of crisps, but are more comparable in price to Kettle Chips - and in my opinion much nicer. 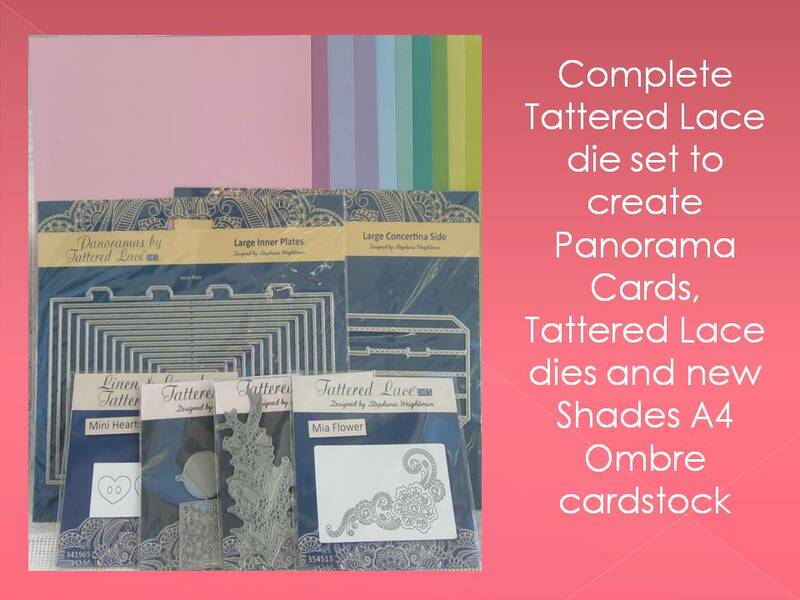 The packaging is also very stylish so these wouldn't look out of place at a smart drinks do or as a pre-dinner snack when you have guests over. 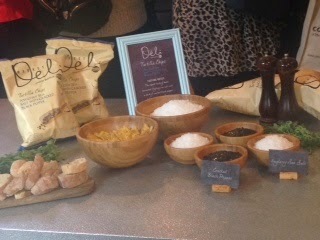 The launch event took place at a deli cafe called Natural Kitchen in the City; the location only served to emphasis the importance of the fresh ingredients that go into the Market Deli range. I haven't been to that many product launches, but in my previous life as a journalist I sometimes attended several PR-led events each week, and I have to say I was impressed by the team at this event. As well as making sure everyone had a drink and someone to talk to, they were very knowledgable and enthuiastic about the product - and managed to have what seemed very natural conversations about why they liked the snacks and how they were made, without sounding like they were parroting a script. he Welsh coast as Anglesey has vast mussel beds which filter the sea water, resulting in high quality salt crystals. I don't particularly like spicy food so wasn't sure about the roasted red chilli with Mediterranean sundried tomato flavour, but the chilli is not overpowering at all. To me that underlines that this is a sophisticated snack with strong flavours but not ones that will try to kill your tastebuds (there's a particular salt & vinegar snack range I like, but after I've eaten it, I can't taste anything else for about half an hour!). We came to the crisps next, and an enormous mountain of cheese. 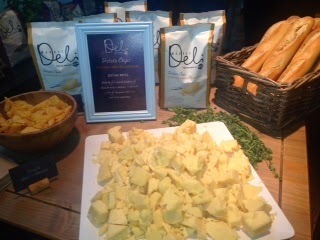 The first flavour I tried was Cornish Mature Cheddar, which was nice but a little too one-dimensional for me. I preferred the Balsamic Vinegar of Modena flavour, as they had a real kick. The Flame Grilled Spanish Chorizo with Roasted Onion was unusual - very different to other crisp flavours on the market so I think this would go down well at a dinner party. 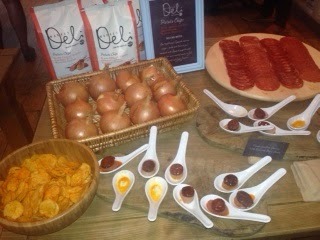 My favourite was the Wiltshire cured ham, mature cheddar and farmhouse chutney flavour. I thought these were excellent- the zingyness of the chutney really lifted the overall taste. 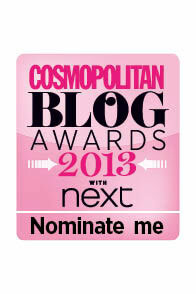 I'm from Wiltshire so asked what exactly makes Wiltshire ham special and was told it was to do with the curing process. FinallyI tried the pitas, which had a great crunch and tasted more natural than some other well known brands. They come in two flavours, Roasted Garlic with Mediterranean Herbs and Roasted Red Pepper with English Tomato. Both flavours are subtle enough that the pitas would work with a salsa dip or guacamole. The other two highlights of the evening were meeting food blogger Katherine, who blogs at Grocery Gems; we got talking over a glass of wine and went around sampling the products together. 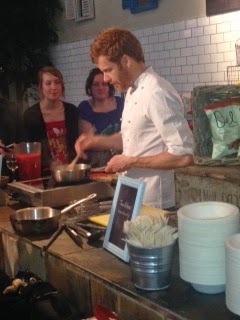 And of course Michelin-starred chef Tom Aikens, who gave a cookery demonstration. I was standing a little too far away to be able to hear everything that Tom said, but it was fun to watch him make a few recipes using ingredients used in the Market Deli products, including gazpacho and macaroni cheese. I got to try some of the macaroni cheese, which was delicious- and I can say that I had dinner cooked by a Michelin-starred chef! 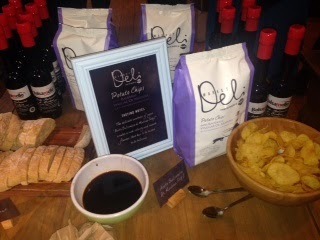 I really enjoyed the evening and want to thank Walkers for inviting me. 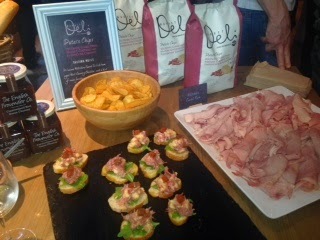 I would definitely buy these snacks, in particular the Wiltshire cured ham, mature cheddar and farmhouse chutney crisps which were my absolute favourite - good enough to give even my usual salt & vinegar a run for their money! 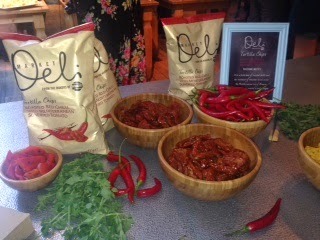 The Market Deli range goes on sale on June 23 so keep an eye out for it!